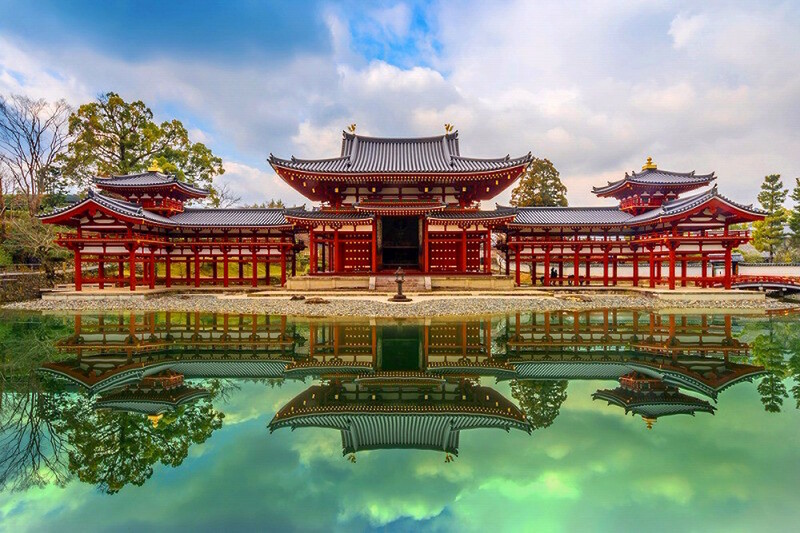 Japanese Architecture – Japan boasts the wide varieties of architecture from Horyuji Temple, the oldest surviving wooden building in the world, to the cutting edge modern architecture. 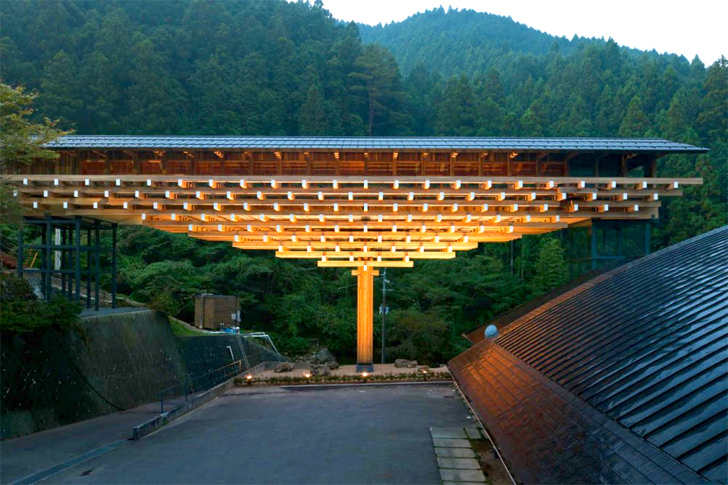 What makes Japanese architecture different from others? Let’s take a look at its history and explore! 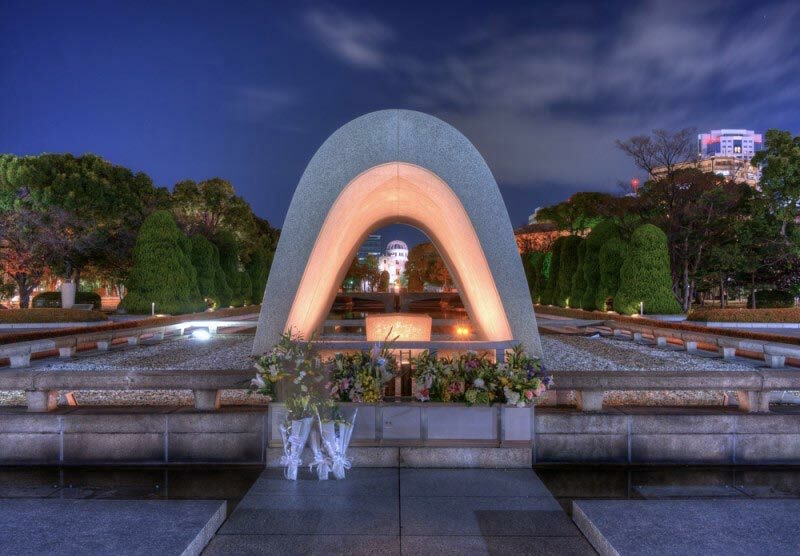 What makes the difference between Japanese architecture and others? The general structure of the modern house is almost always the same: posts and lintels support a large and gently curved roof, while the walls are paper-thin, often movable and never load-bearing. Arches and barrel roofs are completely absent. When we think about Japanese architecture, we have to consider its climate; high-temperature, humidity, heavy rainfall, earthquake resistance. We will look at the relationship with the climate in the section of Japanese architecture characteristics. Materials are primarily wood due to the abundance of timber and the relatively good resilience to earthquakes. The time distinctive architecture appeared was in the 6th century with the introduction of Buddhism. New temples became the center of worship while the previous tomb burial practices quickly became outlawed. The most influential Buddhism structure comes from mandalas (diagrams of the spiritual universe) of Shingon Buddhism which was introduced by the famed Buddhist priest, Kukai. 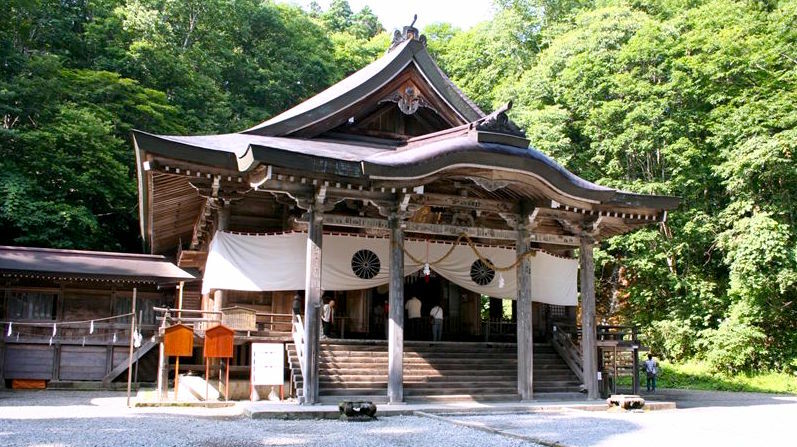 Shinto shrines began to be seen at this time as Buddhism temples stimulated the idea of permanent Shinto architecture. 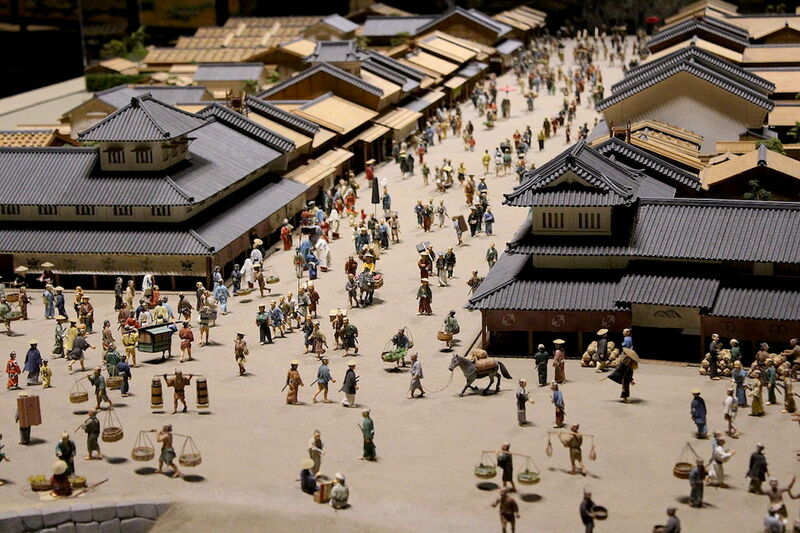 The first permanent capital, Heijo-kyo, was constructed in 708. 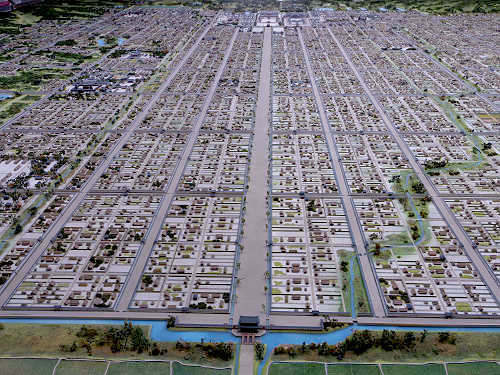 The layout of its checkerboard streets and buildings were modeled after Chinese capital of Chang’an. The city soon became an important center of Buddhist worship in Japan. 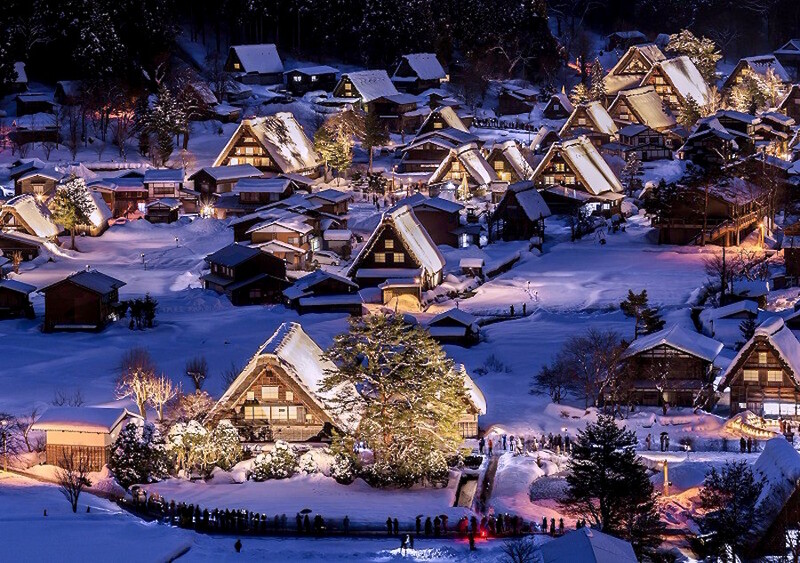 Not long after that, Japanese architecture found its way in original buildings, which satisfy the needs and wants of natives and were suitable for each climate and topographies. The wood has been the main material due to its abundance and its breathability which makes building to be well ventilated. Architects have been designing the house with four seasons in mind, the best house should manage the cold of the winter and keep it cool during the hot summer. Keep its openness to connect with nature. 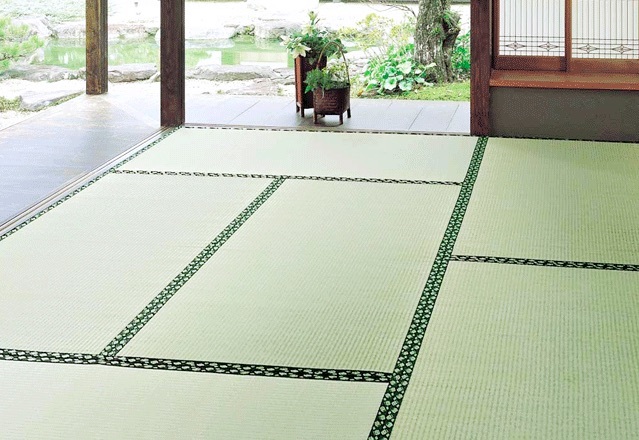 One of the most characteristic features of Japanese architecture should be Tatami mats. Made of straw, Tatami keeps the room warm in winter and cool in summer. It absorbs the moisture when it rains a lot while it releases its moisture in the dry season. The scent of Tatami has the calming effect especially when it is new. It’s not cheap but once you install them, it lasts long years to come. Fusuma are vertical rectangular panels which can slide from side to side to redefine spaces within a room or act as doors. Historically, fusuma were painted, often with scenes from nature such as mountains, forests or animals. Today, many feature fans, autumn leaves, cherry blossom, trees, or geometric graphics. Engawa is an open corridor where you can sit and look out the garden. It’s like a boundary between the house and nature. Also, making use of the surrounding landscape as a part of the design of a garden. People always feel the connection with nature even from the inside and cherish the sense of nature together with family or friends. 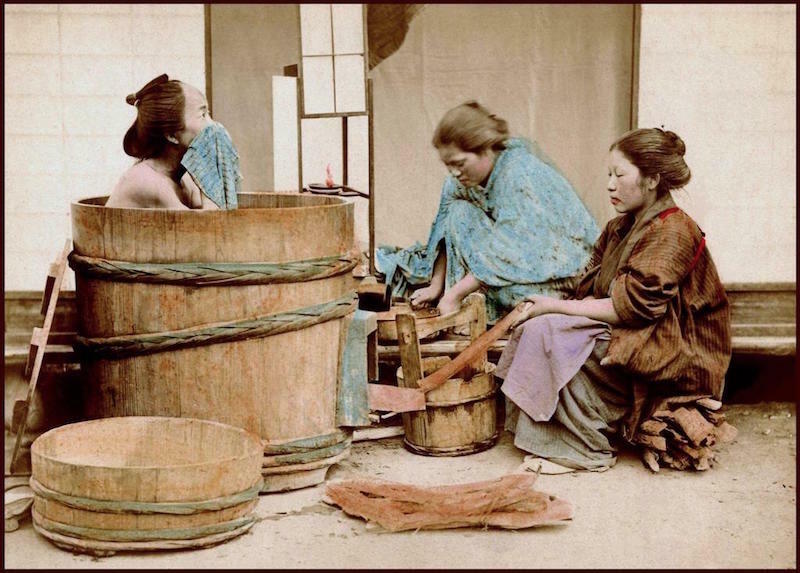 There used to be numerous public bath when only a few rich were able to have their own bath at home. Now you can find a bath at almost all houses in Japan. Bath in a tub for relaxing and wash body outside the tub is the norm. You can see keeping oneself clean is one of the most important customs of Japanese people. We can see the influence of Shinto beliefs here as it puts importance on caring for nature and keeping oneself clean. Temples came along with the introduction of Buddhism from mainland China in the 6th century. 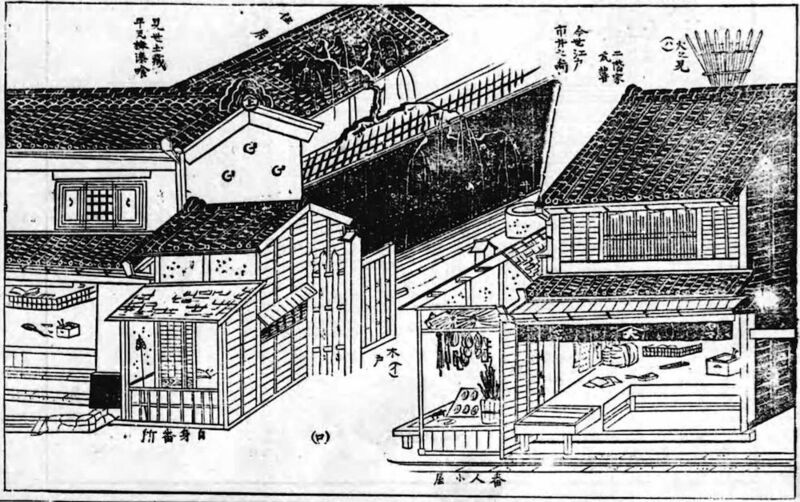 Chinese influences were strongly seen in the early times such as having wide courtyards and symmetrical layouts. However, temples began to exhibit less symmetrical features and many started to incorporate gardens in their compounds. Temples were also found in more remote places and in the mountains, which had more varied layouts owing to complex topographies. The Japanese native beliefs, Shinto had no scripture, no founder, no permanent facilities. Since the arrival of Buddhism, the situation had changed. Along with Buddhism teaching, the construction of temples was booming and it encouraged Shinto to have its own facilities, Shinto shrines. Several major shrines used to follow the unique custom of periodic rebuilding for symbolic purification. Today, the Izumo Taisha Shrine and the Ise Shrines still follow this custom. The typical Japanese castles began to be built in the 16th century. Initially built for purpose of fortification and defense mainly on the mountains, the castles moved down to the field as it became the center of the government and the status symbols of warlords. 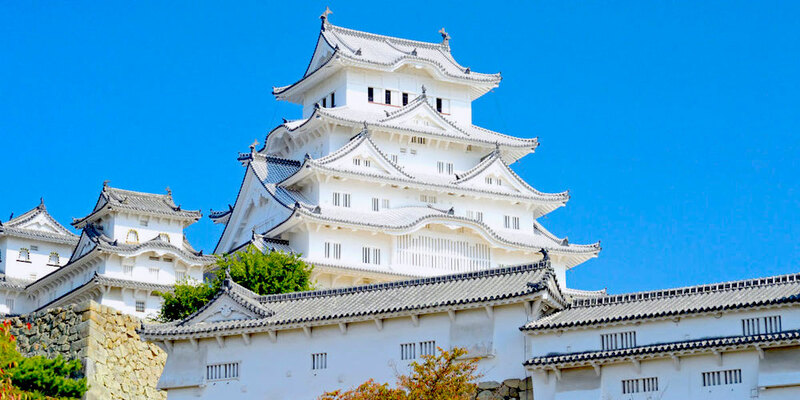 Hundreds of castles used to stand across the country, but most of them destroyed due to wars, natural disasters and the past government’s policies to limit it their numbers, only twelve castles survived from the feudal era. Higher ranking Samurai lived closest to the castle in large houses with spacious tatami rooms and gardens while lower ranking ones had more humble residences further away from the castle. Different farmhouse construction styles developed according to widely varying weather patterns and topographies. Farmhouses were the most numerous among the old buildings but were rarely preserved. The remaining ones that we can see today tend to be the more prestigious ones such as those that belonged to village heads or those in remote locations. The architectural style called “Shinden-zukuri” was for the aristocrats, established in the Heian period (794-1185). The main characteristic of the Shinden-zukuri was the special symmetry of the group of buildings and the undeveloped space between them. Its delicate feature and refined way blend well with nature. The increasing size of buildings in the capital led to an architecture reliant on columns regularly spaced in accordance with the ken, a traditional measure of both size and proportion. 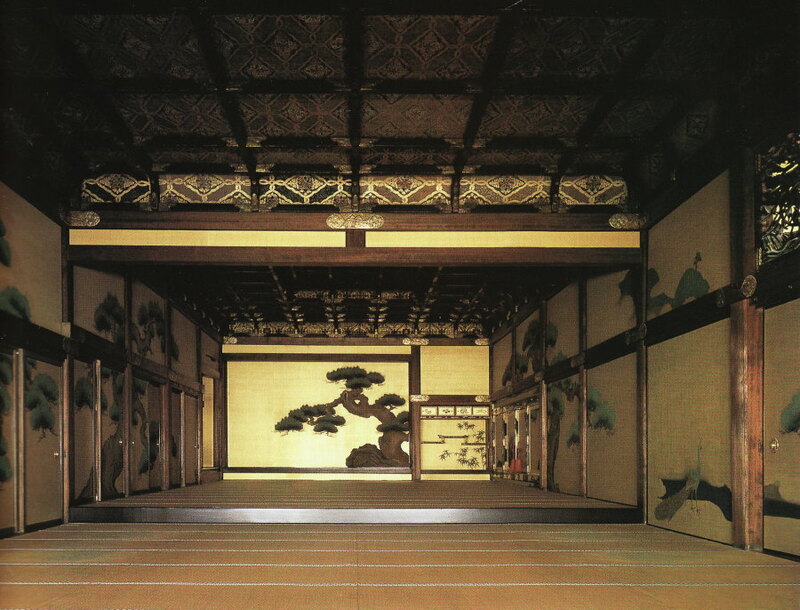 The main room of the Shinden, called the Moya, was surrounded by a secondary roofed Hisashi or veranda. The Moya was one big space partitioned by portable screens (byobu). Guests and residents of the house were seated on mats, and alcoves and gardens were designed to be viewed from a seated position. The culture of making poem was flourishing and the architecture supported it by providing the openness. 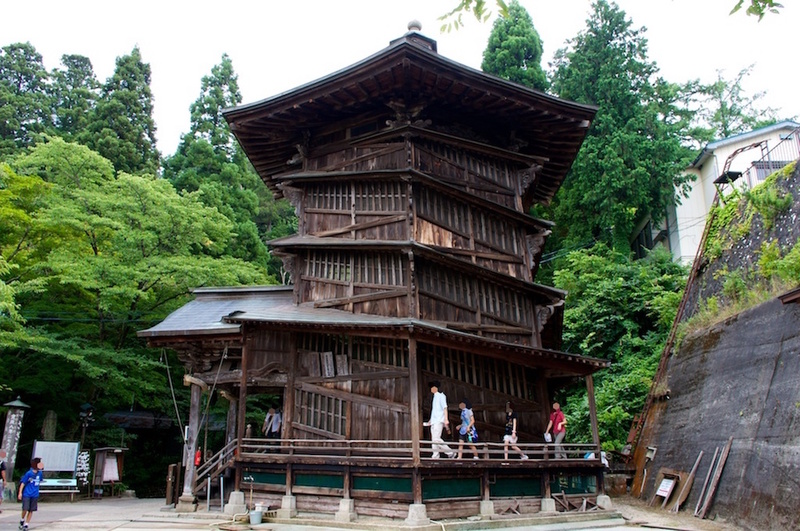 One of the most famous buildings with Shinden-zukuri at this period is the temple. 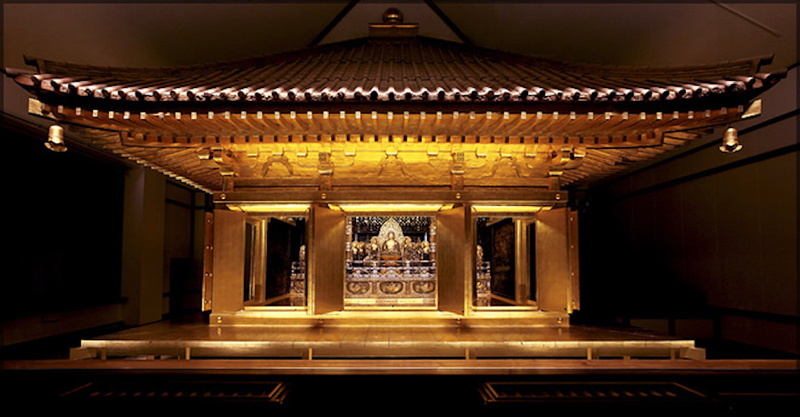 Especially Konjikido (golden hall) of Chusonji Temple boasts its owner’s power, Fujiwara clan. We can see the influence of Buddhism, specifically Pure Land Buddhism, so there were many gardens which represented the Pure Land Paradise. As the political power transferred from courtiers to Samurai classes in the middle age, they value simple and sturdy architectural style. It’s used to be called “Buke-zukuri”, Samurai houses literally. 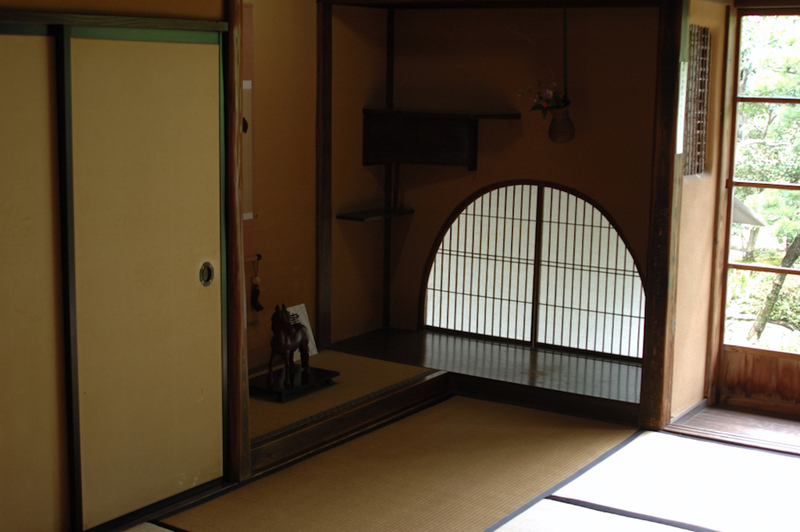 The characteristic of Shoin-zukuri is it puts an importance in the reception room. Frequent wars and battles required them to have a large room to discuss matters and battle tactics. Also, development of partition made it possible to attach a different function to each room. Making a difference in the level gave a distinctive appearance to recognize who is in the higher rank and who is in the lower. The buildings were grouped under a single roof, surrounded by narrow moats or stockades in terms of the security reasons. The pillars used to be columns, but square ones began to be used for this style. Modern day architecture draws its origin from this architectural style. 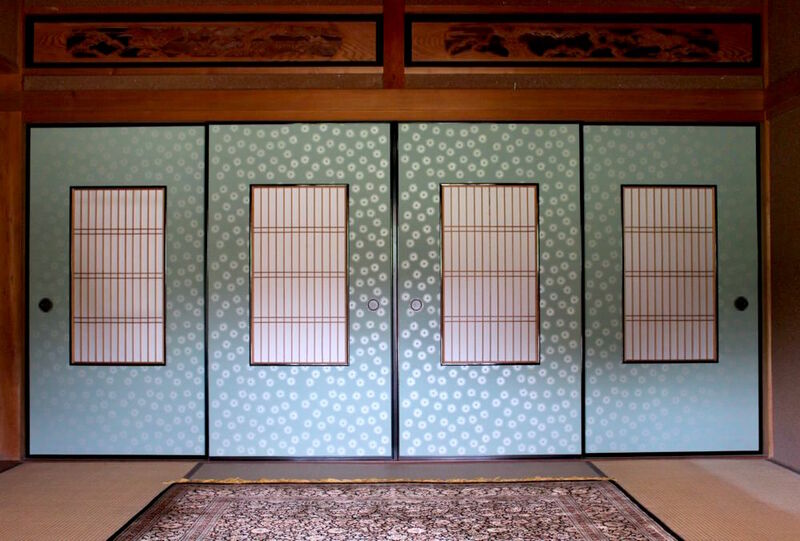 Partitions such as Shoji (sheer, translucent paper room dividers) and Fusuma were originated in this period. 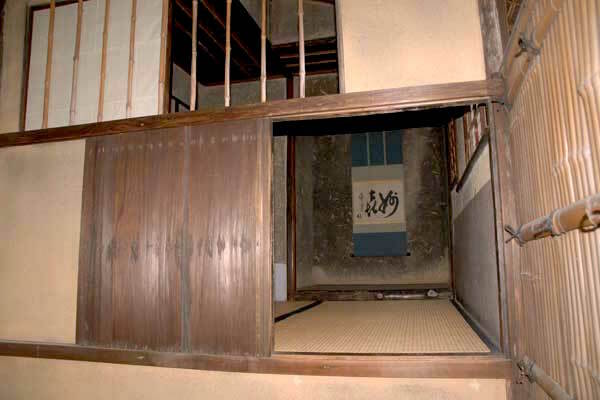 Engawa, Amado (sliding shutters) and the front door also were developed in this style, too. Suki means refined and cultivated taste and delight in elegant pursuit, which originally refers to the enjoyment of the exquisitely performed tea ceremony. 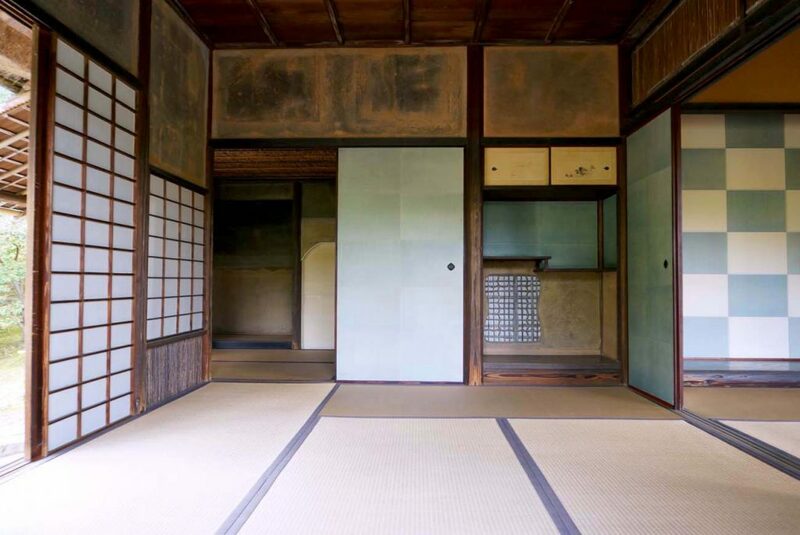 Derived from the small rooms of Shoin-zukuri, it developed the style which eliminates formality or fixed style. Found no taste in the ostentatious display but in the simple and refined presentation with cordial hospitality. 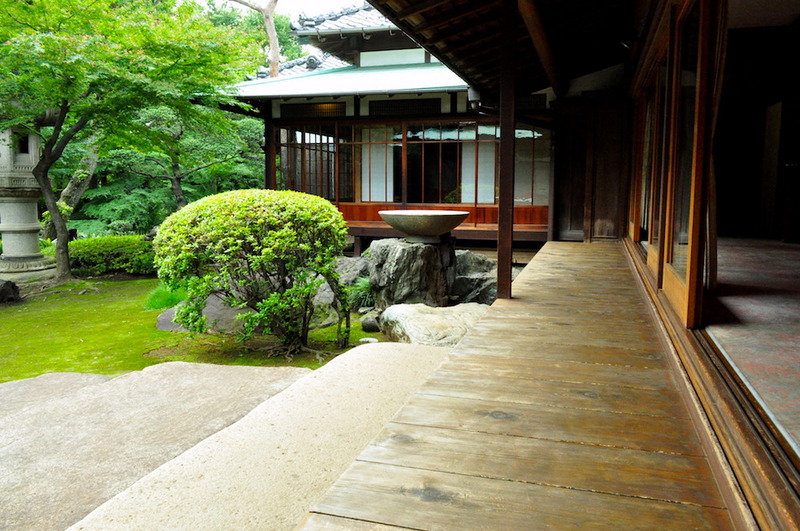 The traditional Sukiya-zukuri layout has rooms that open to a garden through an indirect diagonal or curved path that permits a view of the tea house. The beauty of Sukiya-zukuri comes from the delicate sensibility of the slender wood elements and other natural materials used and the simplicity of ornamentation. 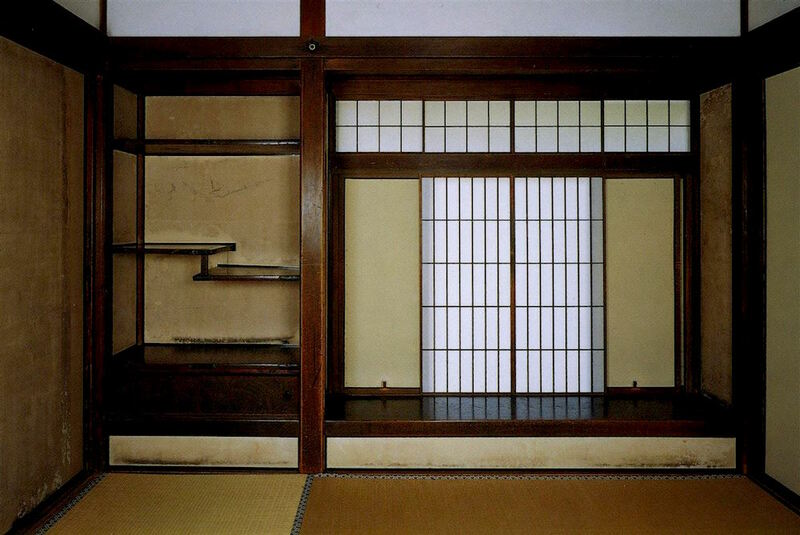 The sense of Wabi-Sabi was born with this architecture as well as Chado (tea ceremony) and Ikebana. 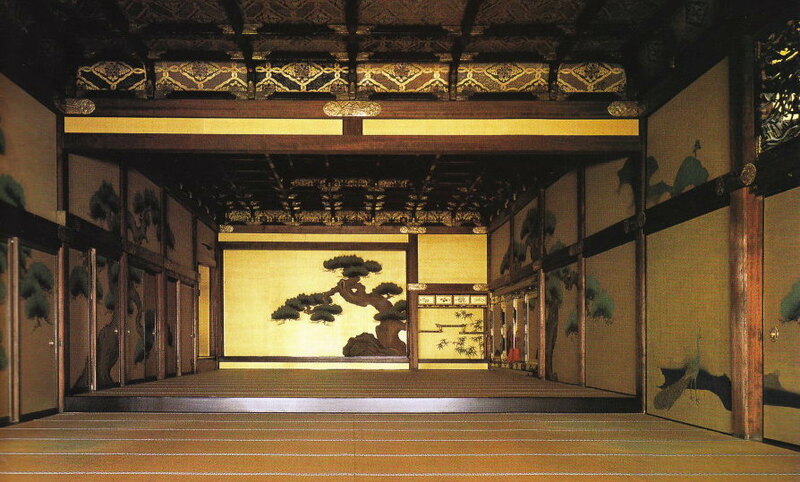 The secular culture flourished in the Edo period in the architectural field as well. 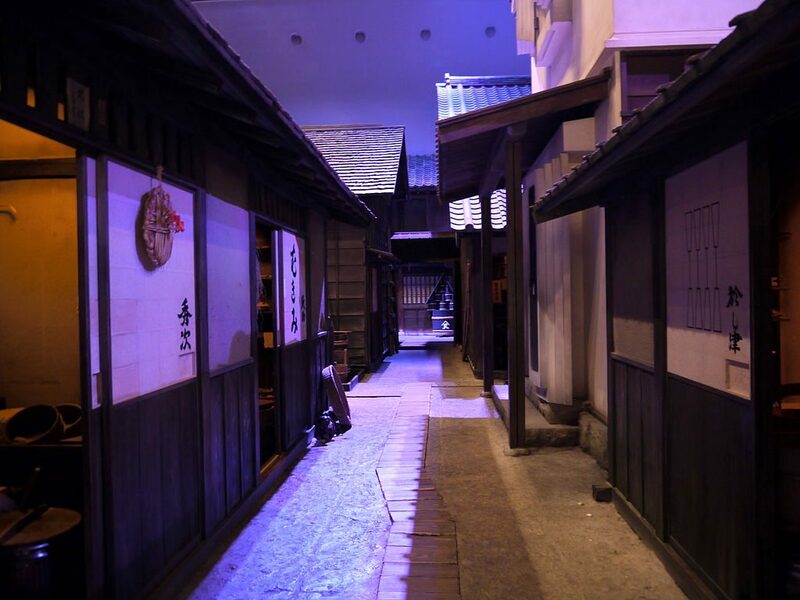 Sukiya-zukuri which have tea room included, theater architecture, the construction of pleasure quarters. In terms of Buddhist architecture, it began to build large halls which could hold numerous followers such as Zenkouji Temple and Sensouji Temple along with the popularity increased. A typical townhouse had its store in front, the living quarters behind and a storehouse in the back. They were built in an orderly fashion facing the street. As the economy grew, merchants began to accumulate the wealth and it produced the festive and lively mood of the town. Most of the tenement houses were one-storied houses, you encounter the kitchen when you enter the house and there were two rooms in a house at most. They were inhabited by craftsmen and merchants, further down the social ladder in the past. It’s one of traditional Japanese architecture as well. Many townhouses had relatively narrow facades but extended wide into the back because taxation was often based on road access. They shared a bathroom on an alley and no bathing facility at the time. There used to be a water inlet on an alley, people got together and interacted with the other until the water filled up the bucket. 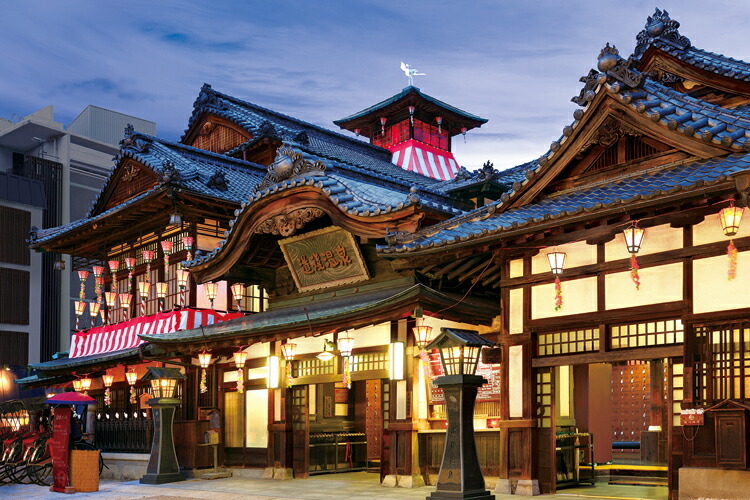 The Edo period brought back a lot of classic architectural techniques. Due to the fact that fire’s struck in Edo region quite often, houses made to be able to be rebuilt easily. Structures were simple and classy and like the Hein period, their respect for nature took a great deal for the architectural way of constructing. Toshogu Shrine is the final resting place of Tokugawa Ieyasu, the founder of the Tokugawa Shogunate that ruled Japan for over 250 years until 1868. Shrines became increasingly ornate at this period just as Toshogu shows. 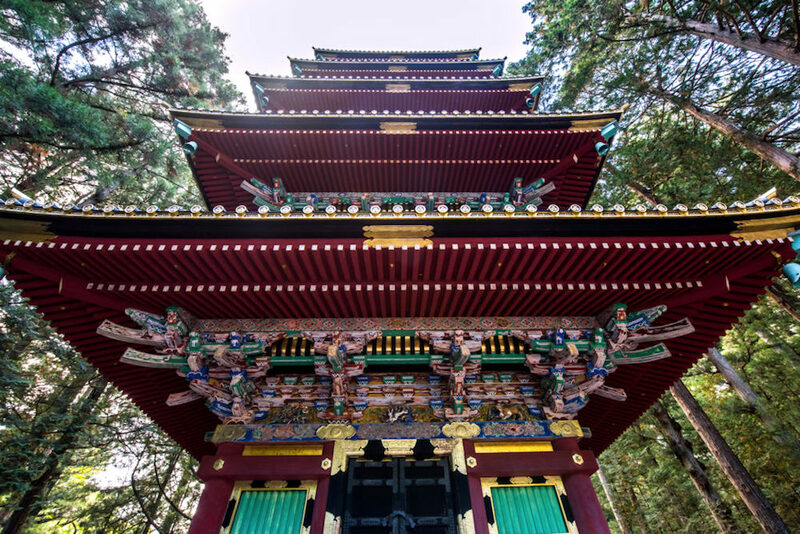 The lavishly decorated shrine complex consists of more than a dozen buildings set in a beautiful forest. 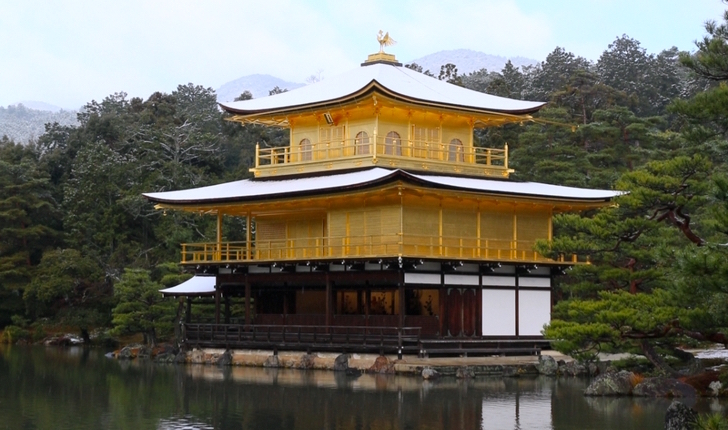 Countless wood carvings and large amounts of gold leaf were used to decorate the buildings in a way not seen elsewhere in Japan, where simplicity has been traditionally stressed in shrine architecture. Also, we can see the strong influence of Onmyodo (way of Yin and Yang; occult divination system based on the Tao). The locations of the building were carefully designed to align with the Pole Star. After WWII, most buildings were no longer made of wood, which caught fire so easily during earthquakes and bombing raids, internal steel construction began to be used instead. Post-war buildings adopted an efficient unadorned box style in general. One of the greatest architectural challenges was to create tall buildings that were resistant to Japan’s frequent earthquakes. Japanese engineers and architects pioneered the techniques that are now used all over the world. Shigeru Ban is best known for his work with paper and his innovative use of recycled cardboard. In 2014, Ban received the prestigious Pritzker prize. His work is based on the theme of the “invisible structure”. 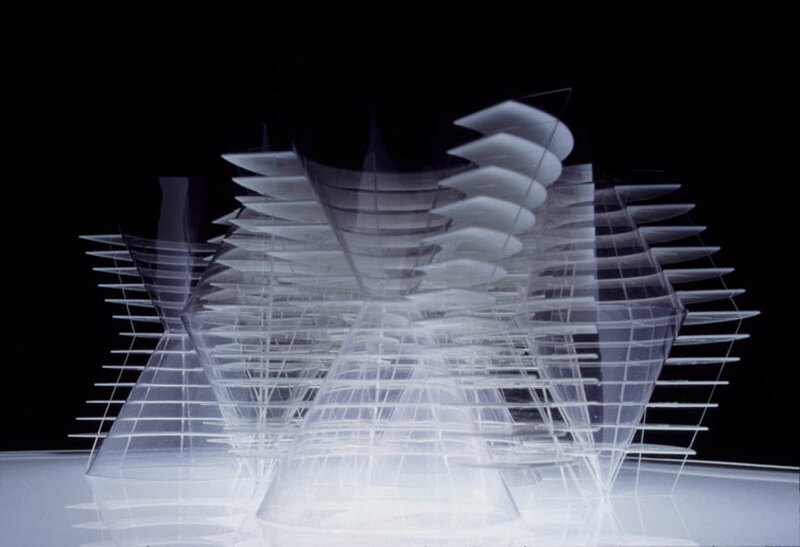 Toyo Ito was born in 1941 and is known for creating conceptual architecture that seeks to express both physical and virtual worlds. He has been named as one of the world’s most innovative and influential architects and was awarded the Pritzker Prize in 2013. 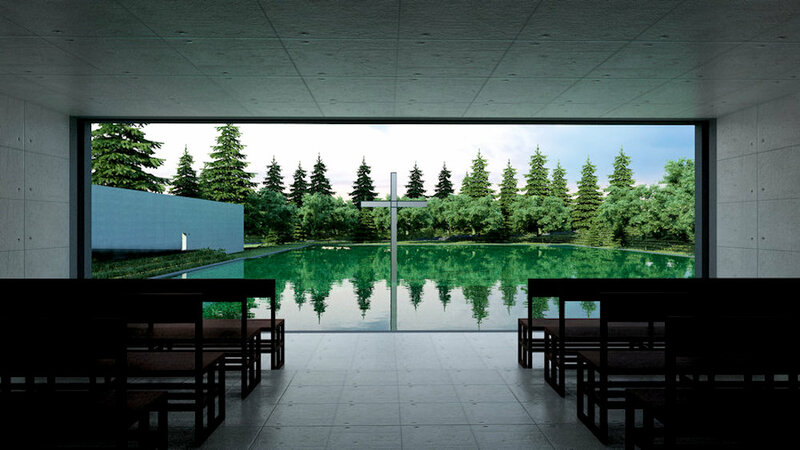 Tadao Ando is one of the best Japanese architects and creator of some of the most memorable buildings in the country. He has received almost every conceivable prize of architecture and is regarded as one of the Great Fathers of contemporary architecture. 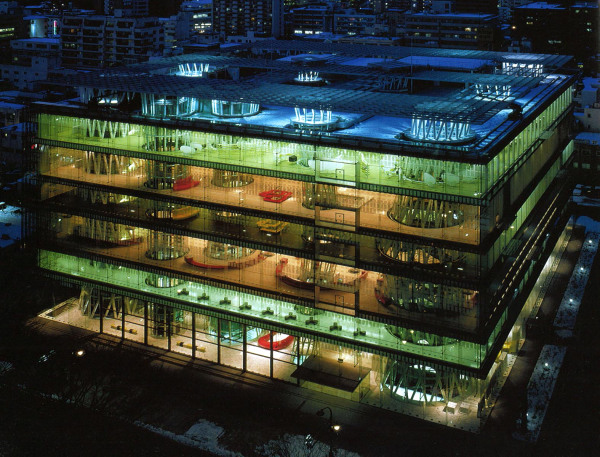 Kenzo Tange was one of the most significant architects of the 20th century, combining traditional Japanese styles with modernism, and designed major buildings on five continents. Influenced from an early age by the Swiss modernist, Le Corbusier, Tange’s work influenced a generation of architects across the world. 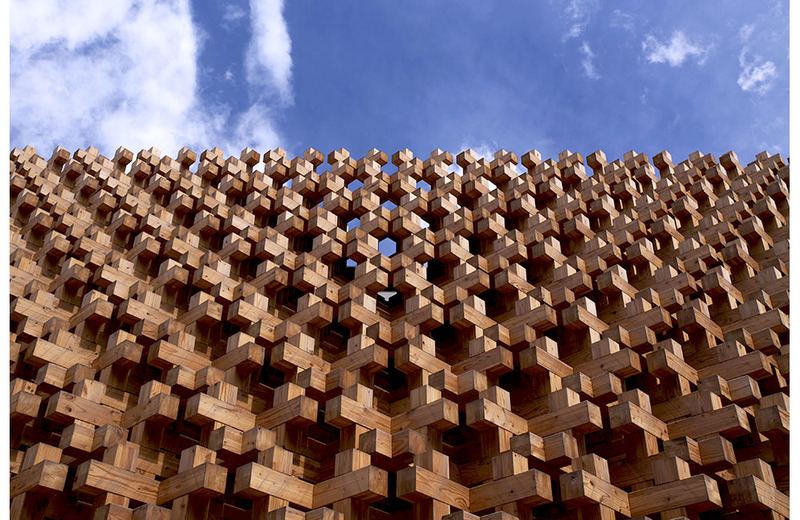 Kengo Kuma is an architect and professor at the Graduate School of Architecture at the University of Tokyo. He manages to give stone, for example, the same sense of lightness and softness as glass or wood. Fumihiko Maki studied with Kenzo Tange at the University of Tokyo where he received his Bachelor of Architecture degree in 1952. He received the Pritzker Prize for his work in 1993. He has maintained a consistent interest in new technology as part of his design language, quite often taking advantage of modular systems in construction and fuses the cultures of east and west. Atsushi Kitagawara’s concepts and methods draw on fields including poetry, music and contemporary arts. He has won a number of awards, including the Architectural Institute of Japan Award in 2002, the first prize in the Innovative Architecture International Award (Italy) in 2006. He is a protagonist of an artistically shaped and expressionistic architectural style, which celebrates the experience of space, without losing sight of the functional requirements. Dougo Onsen Honkan is the symbol and main attraction of Dougo Onsen. This famous hot spring in Matsuyama which is one of the oldest in Japan draw people all around Japan. Completed in 1894, the interior of this wooden public bathhouse is a maze of stairways, passages, and rooms. It is said to have served as inspiration for Miyazaki’s popular animated film Spirited Away. This is a wedding chapel on a hill you can enjoy a panoramic view of the Inland Sea of Japan. 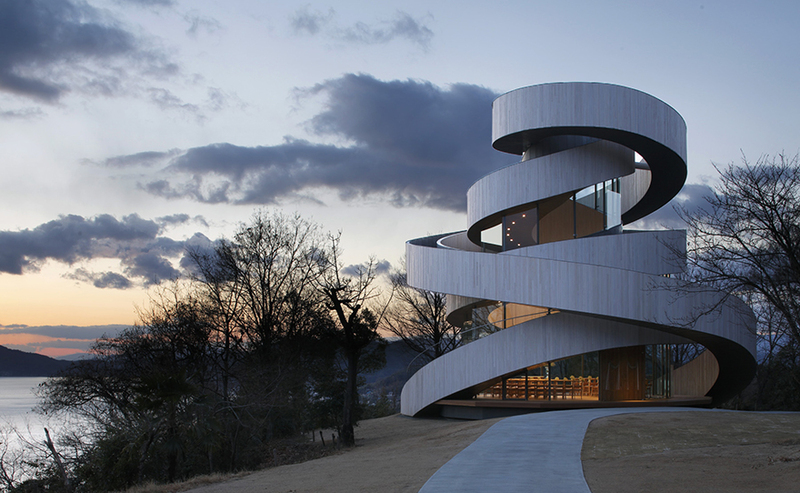 Designed by Hiroshi Nakamura has been configured as a double spiral, formed of two separate stairway. In a reference to the union of marriage, the building’s dual stairways start at different locations before spiraling together to form one singular structure. Below, we will see the so-called original double spiral building. 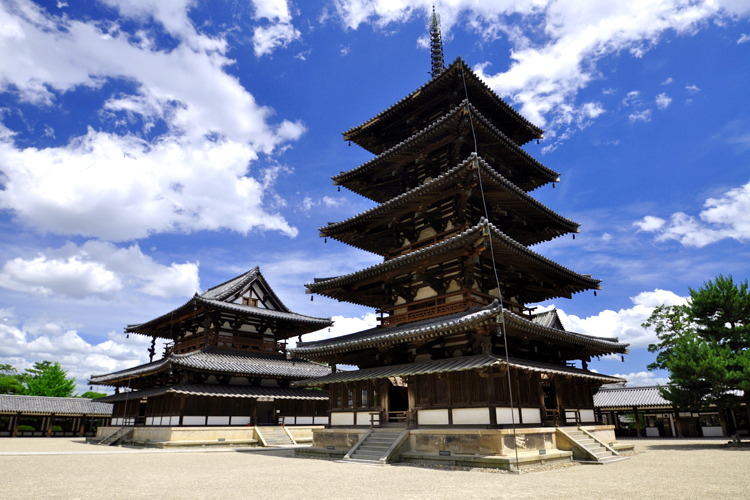 Aizu Sazaedo is a three-storied, hexagonal Buddhist pagoda located in Aizu-Wakamatsu. 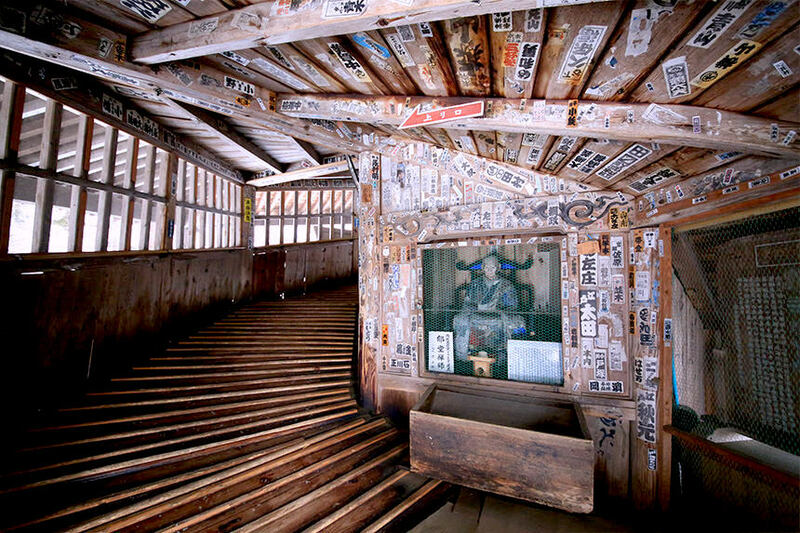 Ikudo, the abbot of the Zen temple Jissoji in Wakamatsu, decided to construct a pagoda to house 33 images of Kannon Bodhisattva and selected the Miya Daiku (shrine carpenter) Yamagishi Kiuemon, to carry out his plan. With an interior double-spiral structure of slope ways, you enter the Sazaedo, walk up to the top floor and down to the exit without seeing anyone. OK, so how do people deal with Japanese architecture in real life? 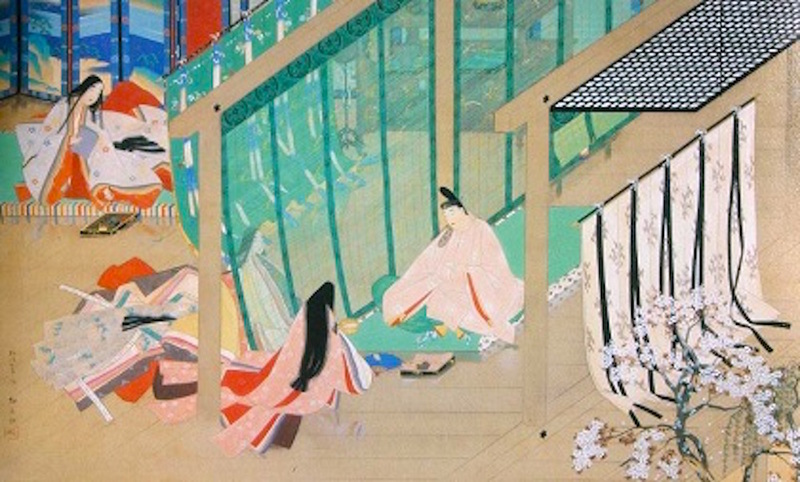 Chairs and tables were not widely used until the 20h century, now and then, Japanese people feel comfortable sitting on a cushion or on the floor. It’s the country with the most architects per capita in the world. Despite the shrinking population low birth rate, construction jobs are on the stable ground since Japanese don’t buy used homes to live in it. The vast majority of people who buy a home are building a new house from scratch which is unusual while only 11-34% of the Western counterparts who buy brand-new houses. It’s in proportion with a high metabolism, especially in major cities. It’s rare your hometown remains the same after the ten years. Japanese architecture has influenced Western architecture with its emphasis on simplicity, horizontal lines, and flexible spaces. We can find its origin in Shinto beliefs and Zen through its spatial arrangements and the concept of interpenetrating exterior and interior space. The new architect will find the way to fit new era’s needs while connecting with nature as it is in their DNA.